The biggest compliment our dental clinic can receive is YOUR REFERRAL! 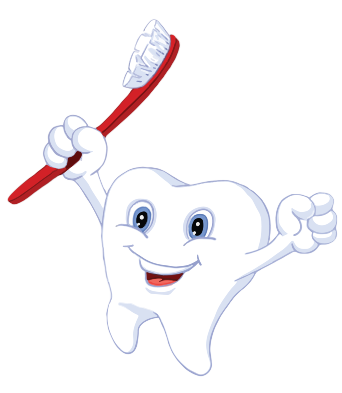 We’d love to see your friends and family for their dental care needs. To show our thanks and gratitude for choosing to work with our pediatric dentists, we offer a gift to show our appreciation for your referral. For every qualifying referral to Treasured Teeth, we will give you a choice between a $20 Gift Card to a local business or $20 Credit to your account and your referral will also receive a special gift! Your referral will qualify if your referral keeps their appointment for treatment in our office (”treatment” includes exams & cleanings). A maximum of 2 Gift Cards or $40 (2 x $20) credit to your account will be granted per family referred (i.e., if you refer a family of 5, you will be given a maximum of 2 gift cards or $40 credit to your account for that referral). A “referral” is a patient of a family who is not currently an existing patient of our dental practice. We base our “Share A Smile” Referral Program off the number of families an existing patient refers. Our Internal Marketing Manager will be responsible for distributing your rewards. Each month, they will check the new patient list for referred patients that have been seen in our office. If you referred a new patient/family, they will contact you to confirm which reward you would like to receive. If you choose to receive a gift card, you must pick it up in our dental clinic within 30 days of being notified. Rewards will only be given out after the new patient’s first appointment. Next time you’re at our dental clinic or have visited our pediatric dentists, ask for some of our referral cards to hand out! You can also print this form and give to a friend or family member…we’ll be sure to take good care of them! “Share A Smile” Referral Program will begin on May 1st, 2016. Any referrals before this date will not be considered for prizes. Cash prizes will only be given in person to the individual earning the prize. Expiration dates may apply. It is up to you to use by the expiration date. Cash prizes will be subject to IRS rules and regulations. We reserve the right to change the rules and modify prizes at any time.